Last week the wonderful team at Situations Recruitment invited GSPCA Manager Steve Byrne to see them at their office in St Peter Port. 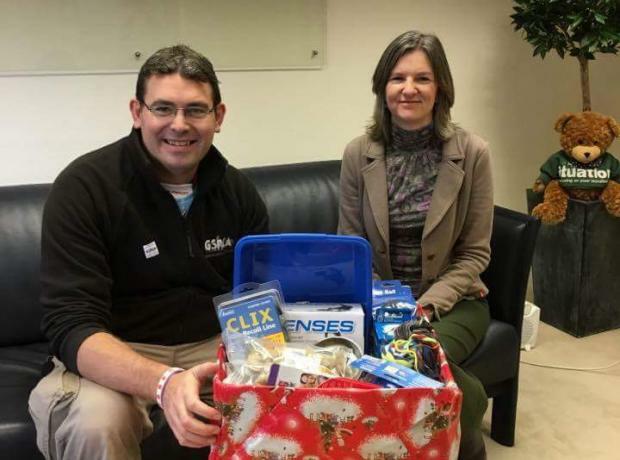 Situation Recruitment team members Michelle, Jenny and Lisa greeted Steve with a large box of wonderful gifts for the many animals in the care of the GSPCA. 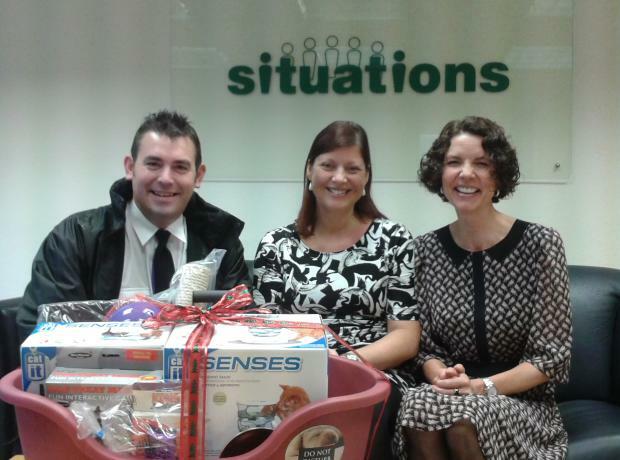 All of the team are hugely grateful to the wonderful staff at Situation Recruitment for such a kind and wonderful gift which will help bring Christmas to the animals in our care at the Animal Shelter. Yesterday GSPCA Manager Steve Byrne was asked to pop along to Situations Recruitment to meet Directors Jenny Mitchell and Melissa Campbell. Not knowing the reason why Steve made his way in the wind and rain to their office near Market Square. 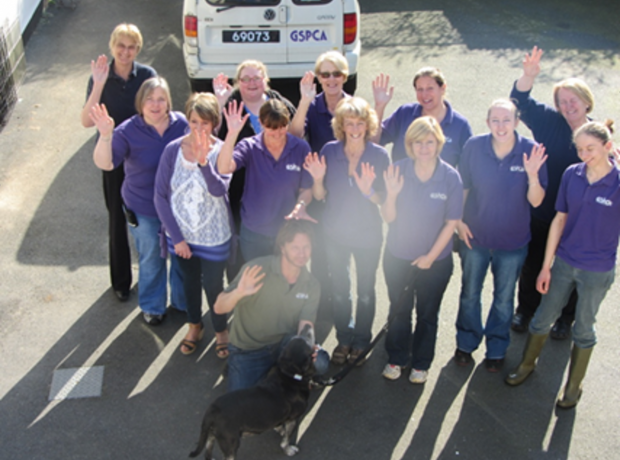 The GSPCA would like to wish one and all a very Happy New Year for 2013 and we hope everyone has had a nice Christmas. Please remember your pets and animals tonight on this eventful evening when many celebrate until the early hours of the morning bringing in the New Year. For advice on caring for pets during periods with fireworks please click here. Every day the GSPCA rescue, rehabilitate and rehome animals and the summer months are certainly the busiest time of year. This year we have extra help thanks to Situation Recruitment. Once a month a member of their staff spends a day at the Shelter. Whilst at the GSPCA they are helping care for the hundreds of animals and birds at the Shelter. Andrew Partlow popped along for his first day last Friday and within minutes of arriving found himself scrubbing the many bowls down on the hedgehog unit.